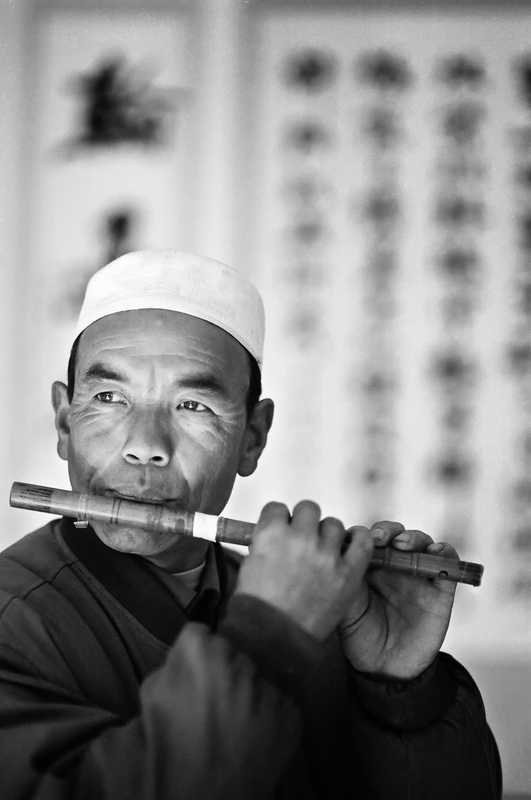 Mr. Lee, Chongwan Village leader plays the flute while we had a simple lunch. I will never for moment. Leica M7, Noctilux f1.0, Illford Delta 400.